This relatively new cosmetic procedure uses a combination of Juvederm and Botox treatments to provide full face rejuvenation that combines the best of both products. A soft lift aims to smooth away small lines and wrinkles, restore lost volume to the cheeks and lips, enhance the contours of the face, and restore facial balance. This non-invasive treatment will help you refresh your look for a natural, rejuvenated, and youthful appearance. This smooth, injectable gel filler is one of the most popular facial fillers on the market today, partially thanks to the fact that it is made of hyaluronic acid, a naturally occurring sugar already present in the human body. Found to play a key role in the health and hydration of our skin, production of hyaluronic acid slows over time due to the combined effects of aging, pollution, and ultraviolet rays. Replacing the lost sugars can help to restore the lost volume while promoting the creation of collagen to keep the skin elastic and well nourished. This makes Juvederm an ideal filler as results are natural, instant, and long lasting with virtually no recovery time required. Short for botulinum toxin, this neurotoxin is produced by clostridium botulinum, which is a bacterium. When properly administered by a registered professional, it’s one of the most versatile medical treatments available and is currently used for a wide variety of purposes including the treatment of crossed eyes, pain disorders, muscle disorders, uncontrollable blinking, and migraine headaches. Its usage in the cosmetic industry is largely in the prevention of fine lines and wrinkles caused by the muscles around the eyes and mouth. A soft lift is a great non-surgical replacement for the traditional facelift because it targets many of the same regions of the face for a complete, natural rejuvenation of the patient’s appearance. Using Botox, the muscles of the forehead and around the eyes is relaxed to smooth wrinkles, crow’s feet, and horizontal forehead lines. The softened appearance of the forehead helps to promote an appearance of youthful energy. Juvederm is then used to restore lost volume in the mid-face, replenishing the cheeks and lips and filling in the small lines around the nose. This helps to create a more relaxed appearance that is both natural and flattering. Finally, Juvederm is used again to add a pleasing contour to the jawline and fill in small lines around the mouth. It can also be used to plump up the lips, giving the patient an appealing and youthful look. 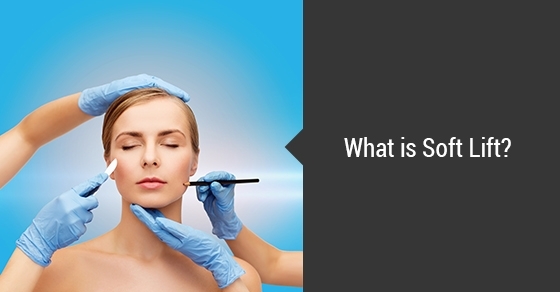 For more information about the Soft Lift procedure, contact the staff at Med-Aesthetics today.